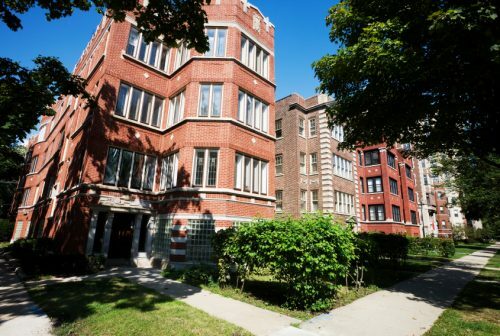 Illinois may be a step closer to lifting a statewide ban on rent control after a majority of voters in three Chicago wards voiced approval for such a plan. On the ballot in Chicago’s 35th, 46th and 49th wards was a non-binding referendum asking whether the state’s 20-year-old ban on rent control should be lifted. With nearly all votes counted Nov. 7, Block Club Chicago reported that at least two-thirds of voters in those wards voted “yes” on the measure. Those precincts include all or parts of Rogers Park, Uptown, Albany Park, Avondale and Logan Square. These midterm election results follow positive findings from the March 2018 primary, when a majority of voters across nine wards responded “yes” to a similar question about lifting the state’s rent control ban. The news is another victory for groups like the Lift The Ban Coalition, which have campaigned for a version of rent control that would seek to prevent gentrification and speculation-driven rent hikes. A clear path forward was not clear immediately after the results, however. Like other non-binding referenda that appear on Illinois ballots, voter approval will not directly lead to the law’s repeal, but it could convince legislators to move forward on the issue. Governor-elect J.B. Pritzker has said he is in favor of lifting the ban on rent control. Real estate industry groups including Illinois Realtors have opposed lifting the rent control ban, saying the laws discourage property investment. Nice, they should lift the ban on cheap rents for those people who cannot afford to pay high rents for homes. This is great! Although I live on the 47 th ward and we did not have the same opportunity as the other wards you speak of . the red in the 47th ward is very high.There was a time when rent was affordable but times have changed and gentrification has arrived. This would be a terrible mistake to clear the path that would allow for rent control. There are many more tenants, than landlords, so it would make sense that the numbers in a vote would favor those that think they would benefit from a rent control. However, other markets that have rent control can be looked to for samples of why rent control is NOT just a simple lock in rents for all. It causes other issues, creates opportunity to “game” the system for individuals to take advantage, and hurts overall real estate values. Michael Mini, executive vice president, Chicagoland Apartment Association, put this in a much more concise way in a letter to the editor that was published in the Chicago Sun Times on July 3, 2018. “While I find myself largely in agreement with the June 26 Sun-Times editorial “Chicago has to push more affordable housing across the whole city,” I would like to emphasize one additional point of importance. Some view the policy of rent control as a helpful tool in the noble cause of creating affordable housing, but history has proven exactly what the vast majority of economists have predicted: Rent control policies do not produce their intended results.There are four universal facts of rent control that should be considered, 1) Supply of affordable housing decreases due to diminished investment and condo conversions, 2) The quality of affordable housing decreases due to arbitrary price caps, 3) Property values erode causing the tax base to shrink, and 4) Systemic abuse occurs by unqualified applicants. Rent control is flawed public policy according to a vast majority of economists and other experts. It leads to disinvestment in areas that have it. Without incentive to invest time and money, new units will not be built and money may not be available to properly maintain existing units. Asking a bunch of renters what they think may lead to them voting yes, but wiser heads need to prevail when it comes to actually considering enacting such measures. This won’t work out very well since the city keeps raising property taxes and water rates. You can’t cap rents and allow costs to rise yearly without consequences. Why not change zoning laws? Reduce city permit fees? Incentivize building? If landlords can only collect so much then they will only fix so much. The result will be deteriorating buildings leading to some areas becoming less desirable. A problem with rent control – HIGH AND HIGHER PROPERTY TAXES. Owners will be forced to pay the taxes and not put money towards improving or even minimum maintenance. Find a different way of funding schools instead of on the backs of properties owners. We’ve invested time and energy into these areas well before many of them became popular. Why buy real estate or improve it? Real estate taxes keep going up and assessments in condos….if they put rent control in they would need to put in a ban on raising taxes, a ban on increases in union employees that are building engineers, management companies, all employees that are associated with building maintenance. I also think they would need to put a ban on raising assessments on all condo buildings as they are a very large part of rental units…IT WOULD BE A FINANCIAL DISASTER AND REAL ESTATE VALUES WOULD TUMBLE.